His story represents the future of LGBT athletes. “It can put a target on my back. 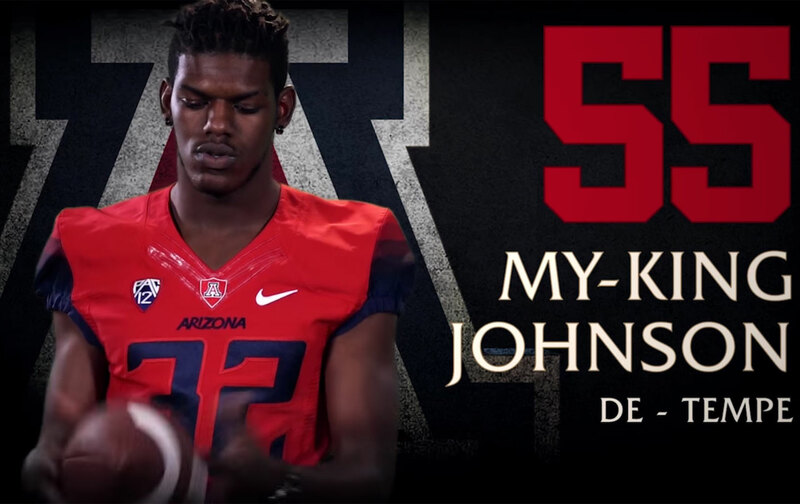 But whatever.” So said My-King Johnson, Tempe high-school football star, incoming first year at the University of Arizona, and all-state defensive end who is about to become the first openly gay scholarship football player in Division I sports history. Johnson, at six-foot-four and 225 pounds, is a blue-chipper who verbally committed to UCLA before deciding to stay close to home. He will be described as a trailblazer because he is open about who he is. There is risk in his decision, in the violent, hyper-macho world of football. And yet this “target on his back” causes Johnson about as much worry as some dust on his shoulder. Stoudamire represents the past. The My-King Johnson story is the future. It is telling that the questions I have heard about this story from people in the sports world have been less about My-King’s sexuality than about the origins of his name. The answer is as simple as the name of one of My-King’s sisters: It is “A-Queen.” Nadette Lewis was never going to let racism or poverty make her children feel like they were anything less than excellent. I asked another trailblazer, tennis legend Martina Navratilova for her thoughts about My-King Johnson’s emergence. “Each coming out helps push the needle when one day it won’t be even newsworthy,” she responded. Amen.